Although countless people benefit from the use of prescription drugs, many thousands are injured every year by pharmaceuticals that were approved by the U.S. Food and Drug Administration (FDA) and yet cause harm. The public has a right to trust that their prescription drugs are safe to use. Unfortunately, there has been a clear pattern in which big pharmaceutical companies place profit ahead of the well-being of the public and push release of drugs in a way that ends up causing people injury or death. 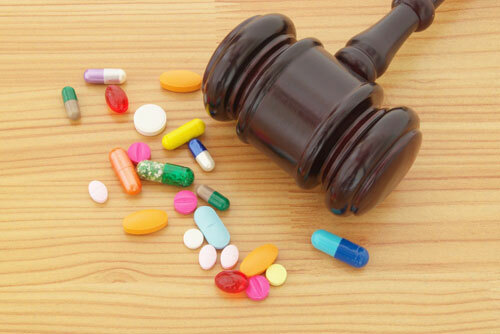 Jorge P. Gutierrez Jr. is a Board Certified Civil Trial Lawyer who can provide you with the legal advice and representation you need in a pharmaceuticals case. Proper testing is often neglected in favor of releasing a drug, to get profits rolling. To complicate the legalities of the matter, drug manufacturers are not legally obligated to provide warnings about possible side effects of a prescription medication to the public. Their only responsibility is to share such information with physicians who prescribe the medications. It’s different with over-the-counter drugs because the manufacturer is directly responsible to fully inform the public in those instances. The pharmaceutical company fails to disclose side effects and health risks. The pharmaceutical company fails to spend adequate time on clinical trials and therefore is unaware of potential side effects and health risks. The physician prescribes a drug that causes an adverse reaction with another type of medication you are on. The pharmaceutical company makes a drug appear more attractive by falsifying the results of clinical trials. Defective drugs are produced by the manufacturer because defects were not detected during the quality control process. The prescription is filled by the pharmacist using the incorrect dosage or the wrong medication. More than 500,000 adverse pharmaceutical incidents are reported annually to the FDA. Insufficiently tested pharmaceuticals are approved each year, in spite of the fact that large pharmaceutical companies can afford to take sufficient safety measures. Many Class I drug recalls happen continuously and can be found on the FDA website under drug recalls. If you need legal assistance in a pharmaceuticals case, contact Jorge P. Gutierrez Jr., Board Certified Civil Trial Lawyer today.